How to fix your Gopro on your gimbal stabilizer ? Home / Gopro gimbals / How to fix your Gopro on your gimbal stabilizer ? 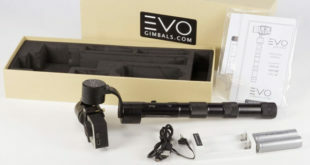 If you own a Gopro stabilizer or will get one soon, a legitimate question may occur : “How to fix my Gopro on by gimbal stabilizer ?”. This very natural question is really easy to answer as you’ll see during this article. As a matter of fact, it is really simple to fix your action camera on your stabilizer for Gopro. It may be more difficult sometimes, if you use a smartphone stabilizer which is compatible with Gopro, but this is not the subject of our today’s article. No matter which Gopro gimbal stabilizer you’ll choose, the way to fix your camera on it will always be very simple. The first thing which is very important to keep in mind is to NEVER switch the motors on until your Gopro is attached to your stabilizer. If you don’t respect this very simple rule, you might considerably deteriorate the quality of your gimbal. In the long term, this could end up being totally broken. We can truly understand that when you receive your new toy, you want to test it very swiftly, but you still have to be careful. This is therefore the first step of our “how to fix a Gopro on a stabilizer ?” tutorial. We can now tackle the serious part of our article. 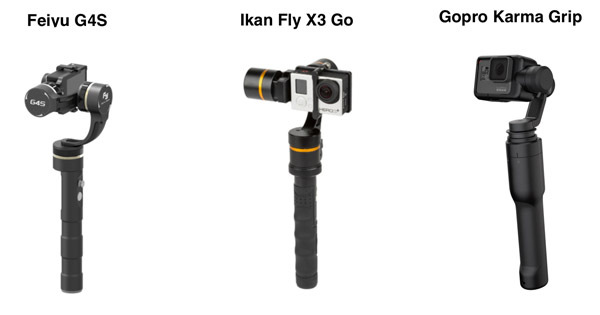 There is 3 different systems to fix a Gopro on your gimbal depending on the one you have chosen. The first kind of fixing you’ll find is the one of the Feiyu G5, the EVO GP PRO, the Snoppa Go, the Ikan Fly X3 Go or the Zhiyun Evolution. There, you’ll just have to set your Gopro on your gimbal and to screw it in order to have it perfectly stable and attached. The process will take you maximum 10s and your Gopro will be perfectly fixed. We invite you to discover our Snoppa Go review if you want to see it more precisely. 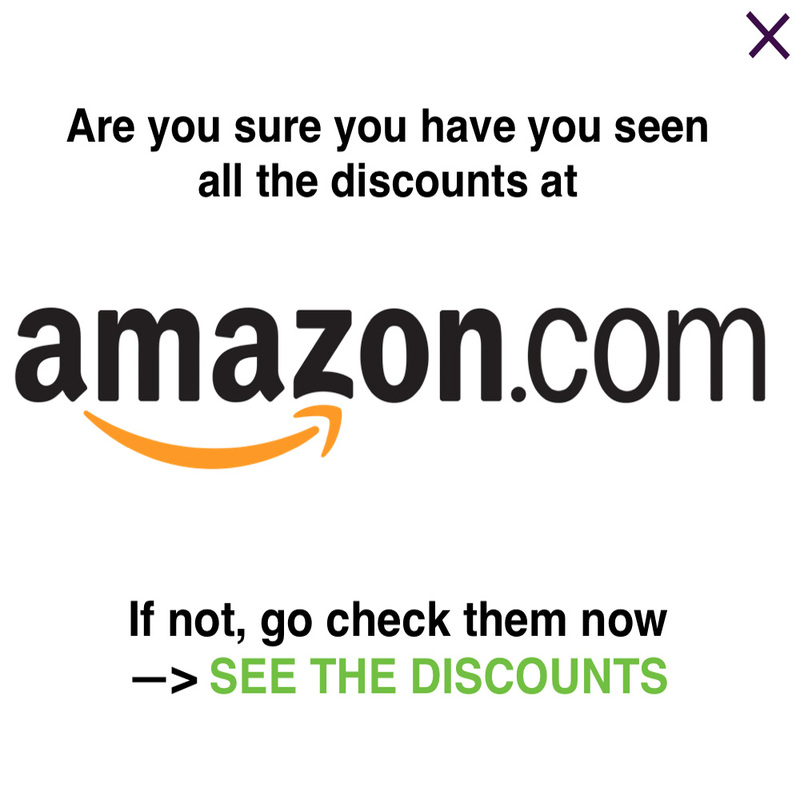 The second option that you can find is even easier ! Indeed, you will just have to clip your Gopro thanks to its “belt” on your gimbal. To our knowledge, only the Feiyu G4S has this option and we have to say that we really enjoyed it. Whereas the screw method takes maybe 10s (maximum), this will take 3s and that’s really great. Still, there is 2 drawbacks with this method. First, it may (even though it never happened to us) hold a bit less than the screw method. Indeed, there, you just clip it… If you have extreme hard moves, maybe, your Gopro may fall. But, honestly, we pushed it pretty hard, and it never fell during our Feiyu G4S review. The second drawback is that it will considerably restrict the compatible cameras. Indeed, there, you’ll only be able to fix Gopro Hero 3 and 4 whereas with the screw method, it can adapt to different sizes. For instance, you won’t be able to fix a Gopro Hero 5 Black here…this is, by the way, the reason for which Feiyu decided to produce the new Feiyu G5 gimbal for Gopro cameras. Finally, the third method will consist, very simply, by putting your Gopro in a little box, a chamber or in an adapter which fits the size of your Gopro. 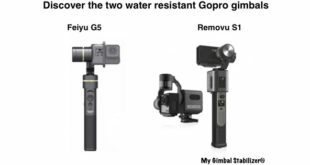 This is the case for the Gopro Karma Grip or the Removu S1, two of the best Gopro gimbals you’ll find on the market for the time being. This option really enables you to have a perfect fixation and, if you have the Removu S1 with the chamber for Gopro Hero 3 or 4, it will protect your camera from every bad weather. As we’ve seen in our Removu S1 review, this gimbal is perfectly water resistant ! This is a significant advantage you’ll only find with the Removu S1 and the Feiyu G5. Once your Gopro fixed on your stabilizer, you just have to switch your motors on and here you go ! Be careful, depending on your stabilizer, you’ll sometimes have to balance your Gopro, though. In any case, as you’ve seen during this article, the different options to fix your Gopro on your gimbal are all very easy and accessible for everyone. 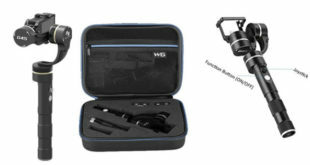 Now, you are ready to start using your gimbal and create incredible smooth and stabilized videos. Previous Gopro Karma Grip : why do we like it ? Why don’t we ?